Shiraishi is the Captain of Shitenhouji Chuu. He is heralded as having 'Perfect Tennis', and is referred to as 'The Bible of Shitenhouji'. His skills are so great that he was already playing at singles 1 when he was only in his second year, and his team that year gave the eventual repeat Champions Rikkai Daigaku Fuzoku their toughest match of the entire tournament, when they met in the semi-finals. He is only shown to have one special shot, which is an unnamed shot where he hits the ball which spins in a ring motion while traveling towards his opponent. He is first introduced when the representatives of every team that will compete at the National Tournament gathered. His personality and profile are shrouded in mystery, and very little detail is available on him as of the present. The biggest reason for this is that in the previous year, he had placed himself in the Singles 1 match against Rikkai Dai, and didn't get to play when Shitenhouji was swept. 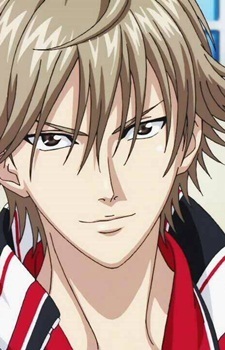 Though he's famous for having 'Perfect Tennis', Shiraishi himself believes that perfect tennis is silly. However when his team lost in the previous Nationals, Shiraishi realizes that no matter how you play, all that matters in the end is winning the match. As the captain of his team, he has to bring his team victory, even if he has to play using the skills he feels are boring. Shiraishi is often shown sporting white bandages on his arm, for some reason unknown. There are several instances where he attempts to take them off, but never really finishes the process and winds them back up. Shiraishi is also known to be the only person who can placate or appease Kintarou Tooyama, the youngest and wildest member of their team. It is apparent in the manga that Kintarou has a very peculiar and strong imagination, and ever since he read a manga about monsters with poison claws, he's been irrationally and childishly (albeit seriously) afraid of Shiraishi.